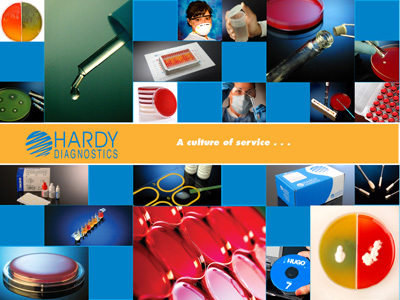 HardyCHROM™ Salmonella, an effective chromogenic screen of all Salmonella spp., 15x100mm plate, order by the package of 10, by Hardy Diagnostics. This product has a short shelf life and ships from our California warehouse only. 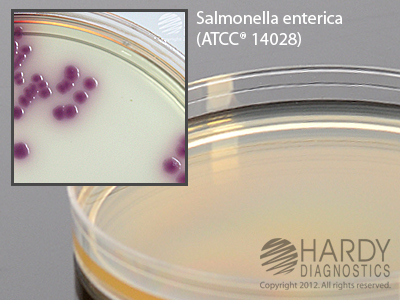 HardyCHROM™ Salmonella is a differential medium that facilitates the isolation and differentiation of Salmonella spp. from other members of the family Enterobacteriaceae. 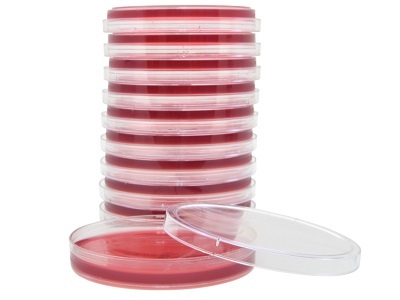 This medium utilizes the ability of Salmonella spp. to produce acid from propylene glycol. 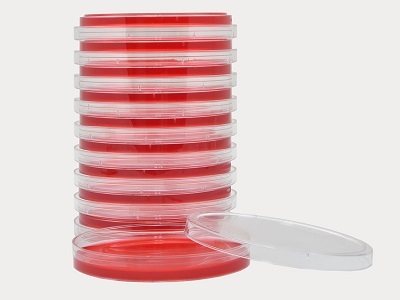 This characteristic is used in conjunction with a chromogenic indicator to differentiate Salmonella spp. form Proteus spp. and other Enterobacteriaceae. 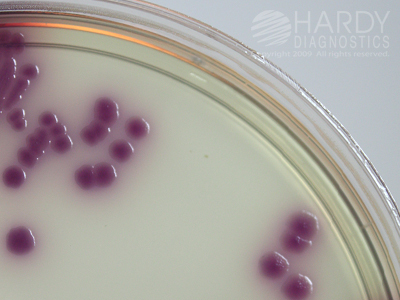 Salmonella spp., including S.typhi and S.paratyphi A, produce pink to magenta colonies as a result of propylene glycol utilization. 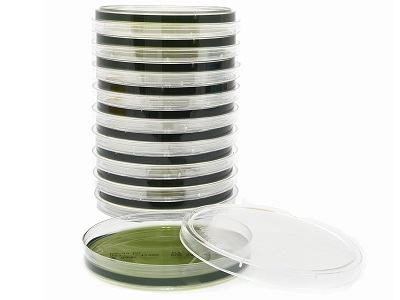 Members of the family Enterobacteriaceae produce blue, blue-green, white, or colorless colonies, while gram-positive bacteria and non-glucose fermenting bacteria will be inhibited.